I love to have a combo tub/shower for my smaller homes, but the surround that Maxis put seems much too thick and unrealistic to me. Not to mention the sides don't go down so you can't see! So I removed the surrounds and connected the missing dots. 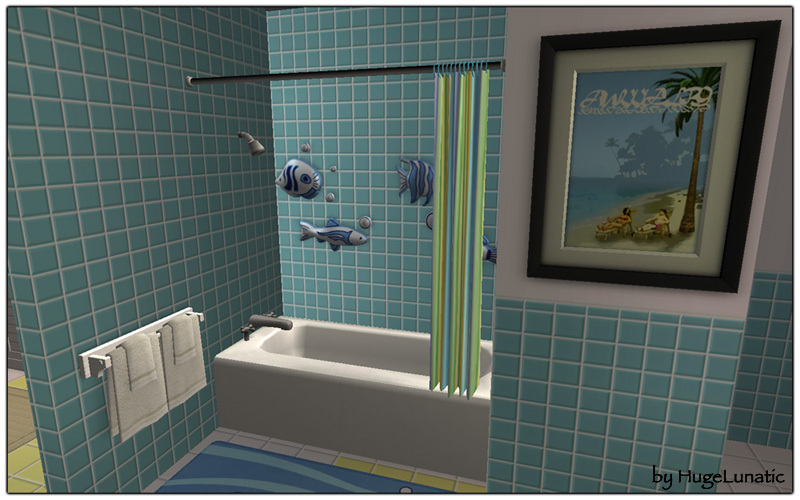 I also increased the stats in the tub/shower combo unit to match the Maxis Colonial tub. 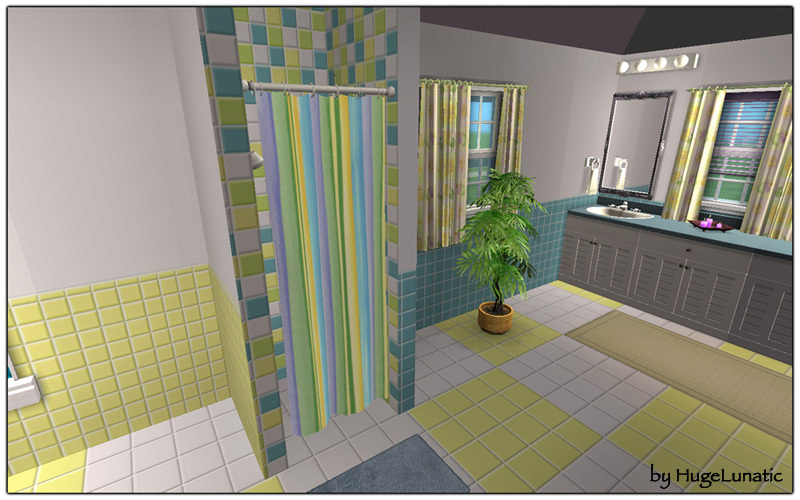 The original tub/shower combo was not mapped correctly by Maxis, leaving the showerhead not recolorable. My version now correctly recolors. NOTE: These are a slave object to the original Maxis objects. All recolors of the original Maxis showers will apply to this. The showers begin with HL...Slave. Those are the two modified meshes. The HL....SpringtimeRiver are the two recolors that will work with these and the original Maxis meshes. Added a pre-pets version! Please note there are two versions. Please download the version that ends with BASE if you do not have any EP's later than Pets. You may include this with uploaded lots to free sites only. 1342 - Less than Maxis due to the only changes made were removing the surrounds. Thanks to jmeyers655 for testing my pre-pets version. Thanks to plasticbox and Daggs for testing the first one, which requires the Pets EP OR LATER! Thanks to all who contributed to SimPE otherwise I wouldn't have all these cute little matching items for my sims. HystericalParoxysm for a tutorial on how to make tilable textures. Still loving her! Spaik and SimAddict99 for helping me solve my issue with non crisp edges. SimAddict99 and MsBarrows for the tutorial on the Repository/Slave technique.